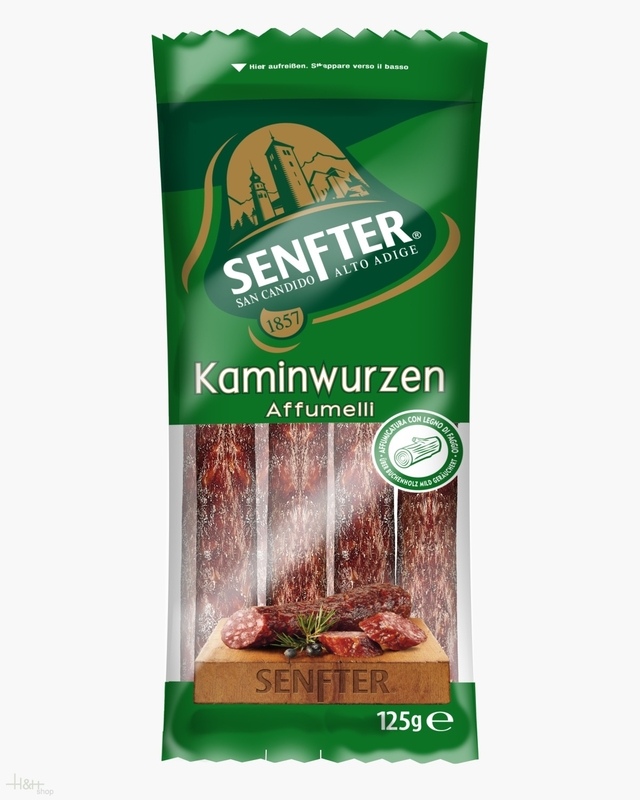 Mini Smoked Sausages "Kaminwurzen" Senfter 2 pc. - 125 gr. South Tirol... this sounds after clear mountain air, green meadows and after the taste smoky of tender sausage specialities. 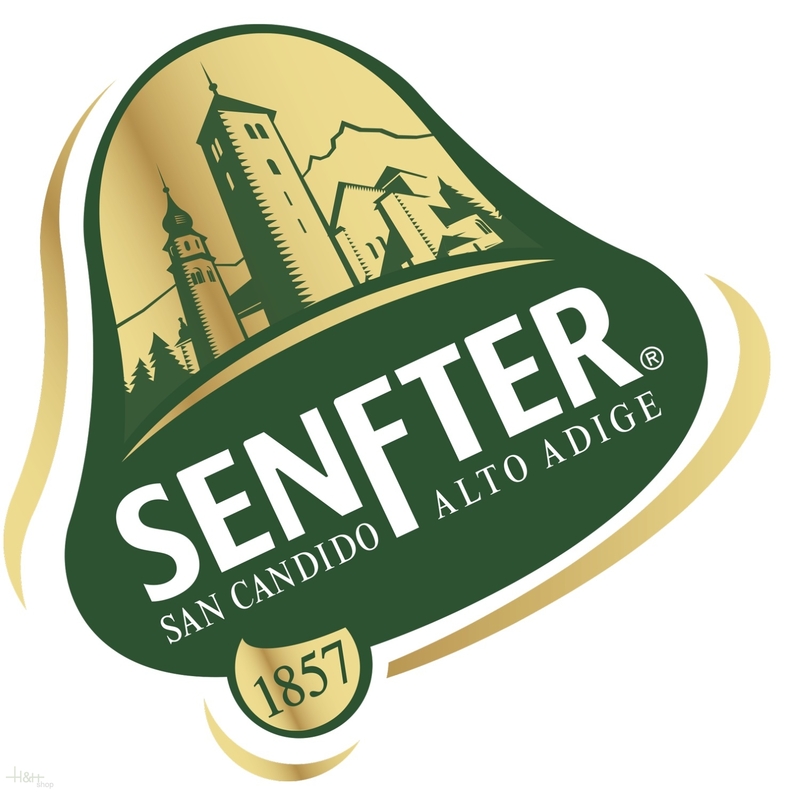 The products of Senfter mature after a long traditional procedure in the incredibly spicy air of the Dolomites. For an unmistakeable taste which makes the sausage of Senfter something quite special one. Who searches the old farm tradition of the Puster Valley, makes a find with Senfter. Made after local traditions the slightly smoked South Tyrolean "Kaminwurze" get's the biggest popularity. This raw sausage speciality is produced of beef and pork, is tasted with typical spices and several weeks matured. To spicy brown bread or crunchy Schüttelbrot is the South Tyrolean "Kaminwurze" an incomparable pleasure. Buy now this product together with Schüttelbrot Crisp Bread Rabanser hand-shaked 155 gr. ready for shipment: in stock Schüttelbrot Crisp Bread Rabanser hand-shaked 155 gr. Buy now this product together with South Tyrolean Salami chamoix type Gruber approx. 220 gr. ready for shipment: in stock South Tyrolean Salami chamoix type Gruber approx. 220 gr. Our goulash was never as asked as today. Today where the time is calculated so scarcely, the people buy with pleasure instant products, above all if these underpin the made decision by its quality. Würstel Frankfurt Steiner 4 pezzi - approx. 250 gr. 4,80 EUR / 1,92 €/100 gr. South Tyrolean Salami Roe Deer type Villgrater approx. 240 gr. 7,90 EUR / 3,29 €/100 gr. Witch sausages hot x3 vac. appr. 150 gr. - Kofler Speck 5,25 EUR / 3,50 €/100 gr. Smoked sausages x10 vac. appr. 500 gr. - Kofler Speck 13,60 EUR / 27,20 €/kg. Würstel Meraner 2 pieces vac. Hell approx. 240 gr. 4,45 EUR / 1,85 €/100 gr. Würstel Dumpling sausage 2 pieces vac. approx. 350 gr. - Butchery Hell 6,40 EUR / 1,83 €/100 gr. Würstel classic 4 pc. ca. 300 gr. - Butchery Hell 5,75 EUR / 1,92 €/100 gr.